Eagles Jason Kelce said Monday that the Eagles still have the talent to make another Super Bowl run. The Eagles reported to work on Monday to begin their offseason program, an occasion quarterback Carson Wentz compared to the first day of school – if the first day of school were voluntary, that is. They had more time off than they did one year ago, when they were coming off a truncated offseason because of the Super Bowl. Monday started the team’s quest to return to the NFL season’s final game. 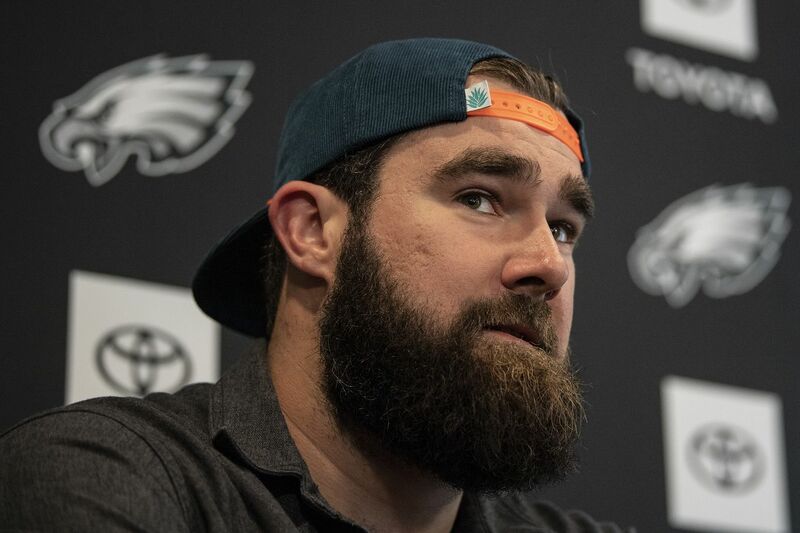 Center Jason Kelce, the Eagles’ second-longest player, said the Eagles remain Super Bowl material. Although the Eagles finished last season 9-7, they came down to the fourth quarter in the divisional round of the playoffs. There’s an argument that if Alshon Jeffery doesn’t uncharacteristically drop a pass on a potential go-ahead drive, they would have reached the NFC championship game for the second consecutive year. Kelce pointed to earlier in the game, when Pro Bowl right guard Brandon Brooks left with an injury that will linger into offseason workouts, as the difference. Staying healthy will be important. So will getting healthy. Brooks is among a group of players recovering from a season-ending injuries that includes quarterback Carson Wentz, safety Rodney McLeod, defensive end Derek Barnett, and cornerbacks Ronald Darby and Jalen Mills. Then there were key players who required offseason surgeries, headlined by defensive tackle Fletcher Cox. Leading rusher Josh Adams also underwent shoulder surgery, a league source confirmed Monday. Last season, the Eagles’ offseason and training camp workouts were noticeably lacking key players. They were sequestered to the sideline while recovering. Although the Eagles will still have high-profile absences, the roster might be fresher this spring because of an offseason that started almost one month sooner than the Super Bowl campaign. Kelce and tight end Zach Ertz, two players who held news conferences on Monday, both played through injuries last season. Kelce explained that he played through a grade-II MCL sprain, a broken foot, and torn elbow ligaments. He said he’s now as healthy as he’ll get. Ertz needed to drop out of the Pro Bowl after the season because he played through injuries, but he said he feels the best he’s felt during an offseason. They likely aren’t the only ones who feel fresher than they did one year ago. The Eagles’ roster is incomplete, and next week’s draft will be critical in rounding out the depth chart. There’s also the chance for trades or free agent signings in May when additions would not count against the compensatory pick formula. But the new additions can now get their hands on the playbook for the first time. Wide receiver DeSean Jackson, running back Jordan Howard, and defensive tackle Malik Jackson are the most notable newcomers. DeSean Jackson’s return is popular among players, too, who have seen what the deep threat will provide to the offense. Even though many of the players are back this week, they won’t be on the field for another month. The first phase of the offseason program, which is considered Phase 1, consists of strength and conditioning work. Phase 2, which follows for the three weeks thereafter, expands to individual drills. The on-team work begins with organized team activities on May 21. They have 10 of those sessions during three weeks before mandatory minicamp from June 11-13 – the only time when attendance is required. The Eagles will then have a few weeks off during the summer before reporting to training camp six weeks before the season begins. But one of the messages on Monday was that their hopes of playing into February starts this week.